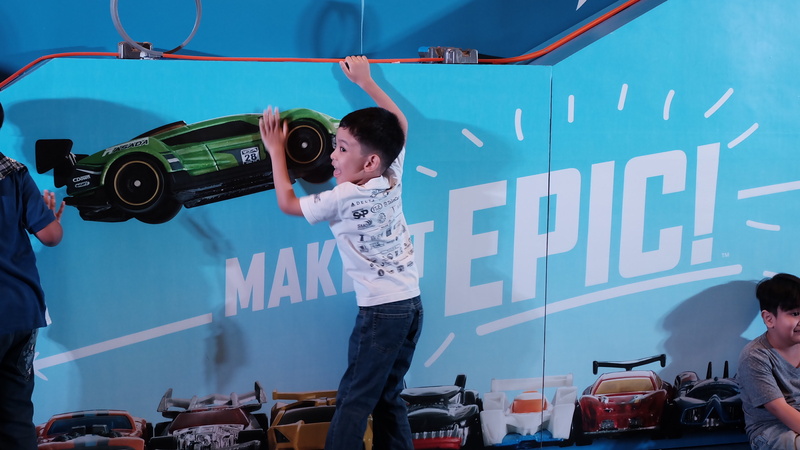 Nanay's Trip event alert My Journey and Joys Nanay's Trip EVENT ALERT : Hot Wheels EPIC Race. 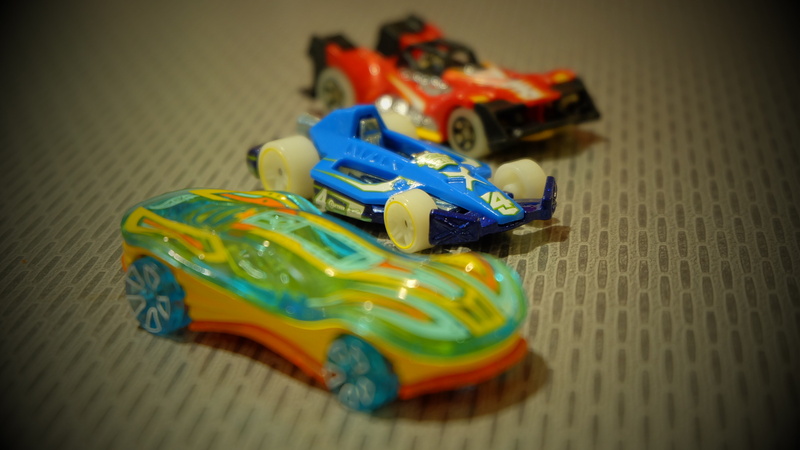 Create an EPIC Adventure with yourLittle Racers! 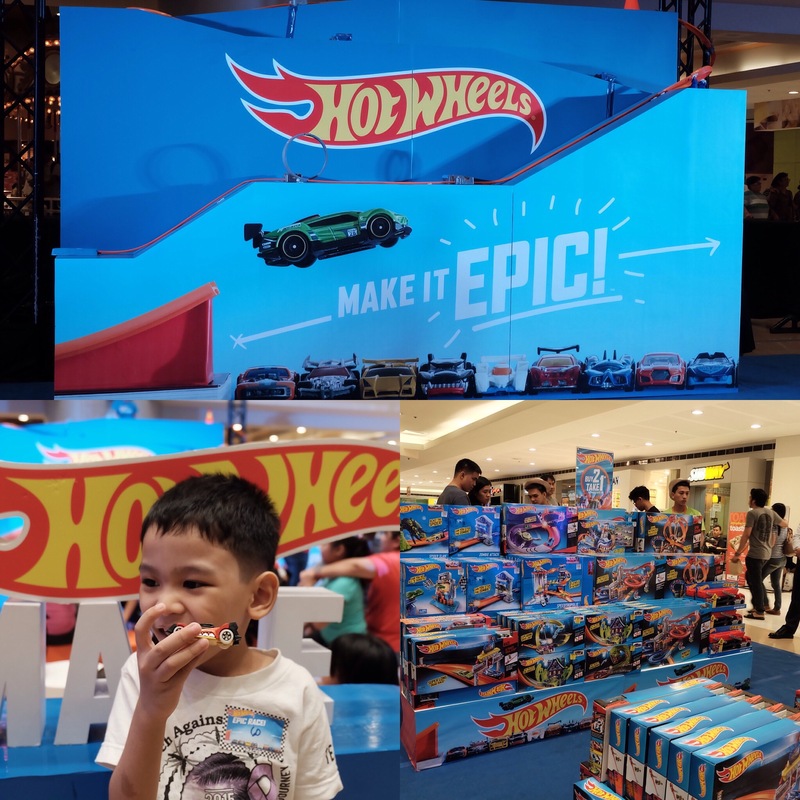 EVENT ALERT : Hot Wheels EPIC Race. Create an EPIC Adventure with yourLittle Racers! Rio couldn't wait to attend the epic race, he even placed the invitation on our fridge door. 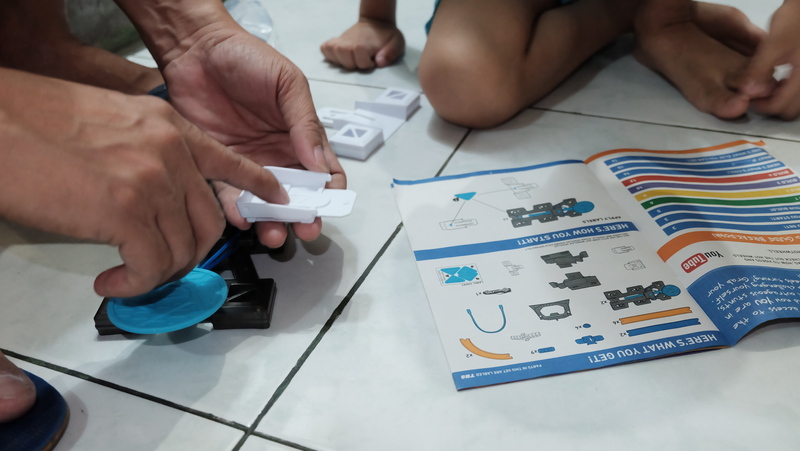 Every morning he would ask the same question, “Nanay, April 9 na?” His excitement doubled when we finally allowed him to open the track builder starter kit we received from the Richprime team (Maraming salamat!). 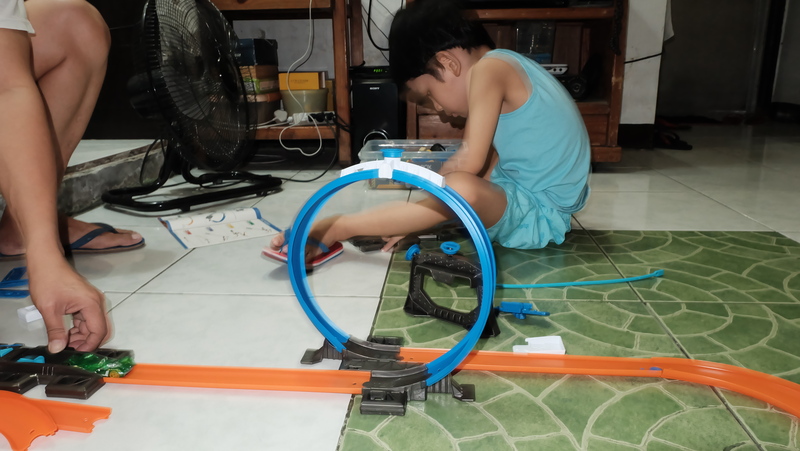 We wanted to let him experience playing with the starter kit before the actual day of the epic race in SM Megamall. Dagdag excitement at tigil ang pangungulit sa amin! 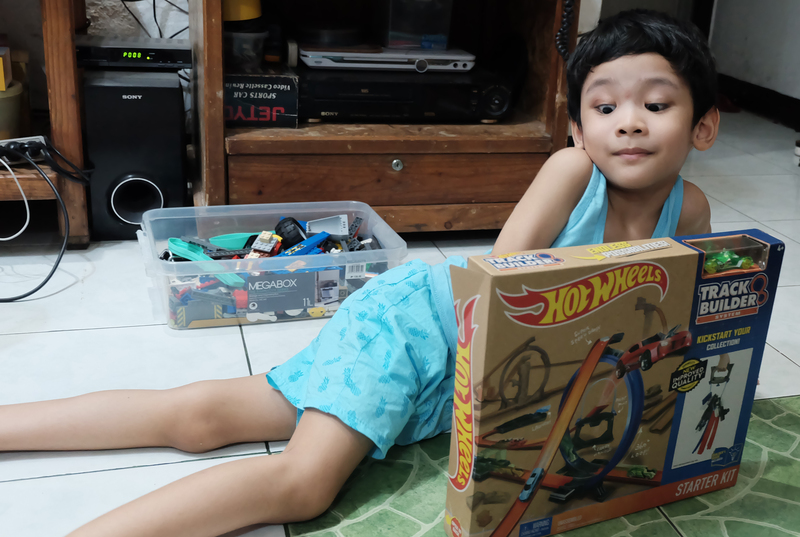 Rio has several Hot Wheels cars and his Ninang Olive gave him the Monster Jam set last Christmas. We bought one long orange track to start setting up but unfortunately the plan didn't push through. 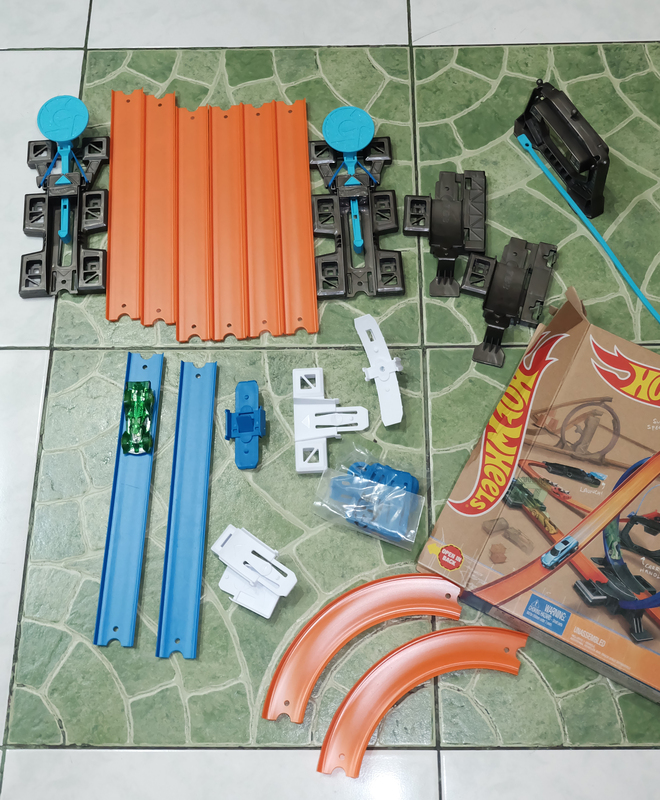 Thanks to this Epic Race event, we have this track builder kit to start with and design our own race track set for Rio's cars. Finally, we were back on the road. 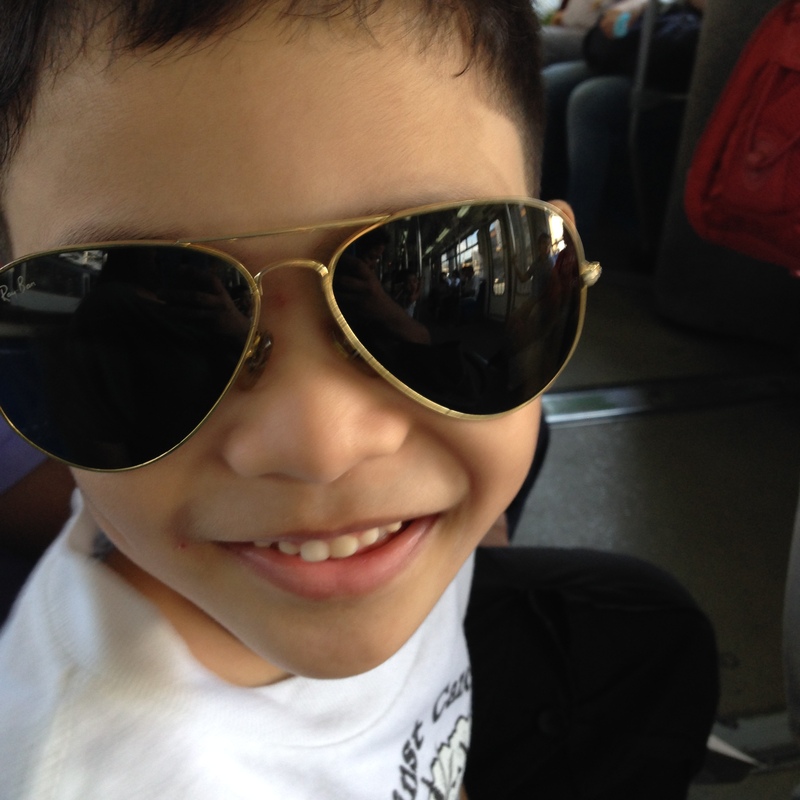 Rio had an infection and we had to cancel a few outdoor activities for our little boy since Holy Week. Sa wakas, nakalarga uli si Kulit at sa Epic Race pa ang comeback event niya! 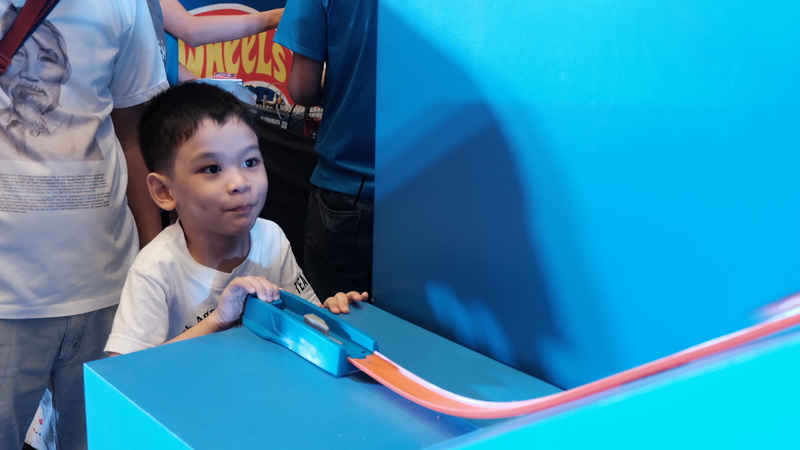 "Nanay, I want to join the race.” Rio and Tatay chose the best Hot Wheels racing car and signed up for the race. We were listed at Number 60! 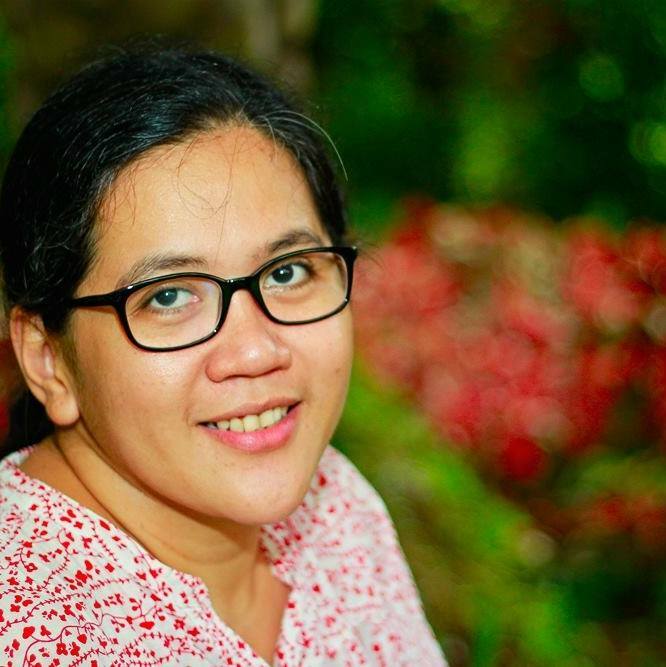 Ang tagal pa! We watched the other participants to get a few pointers. It also helped that before the race officially opened, my boys tried the tracks and had some practice. Finally, Rio heard his name called by the emcee and fell in line with the other participants. I was so excited for my little boy. I didn't know what factors should be considered to make that race car reach the finish line. My only concern was for my son to enjoy this experience. And he had a blast! Three, two, one and GO! 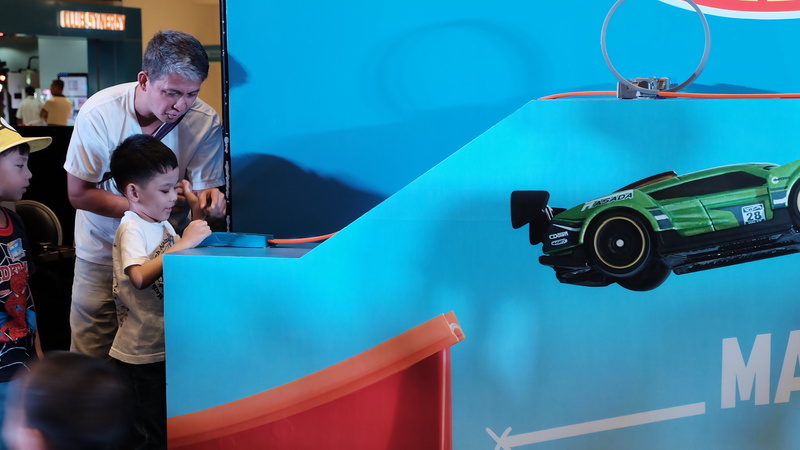 Rio pushed the button and his racing car flew and jumped overboard! We were so happy to see the race car finish the first loop and reach the peak. Sadly his car didn't reach the finish line but Rio was happy and that was enough to make the experience a memorable and epic one. We also didn’t make it to the semifinals but we were glad to attend this event as a family. I was happy to document these priceless moments and share this wonderful experience with my boys. 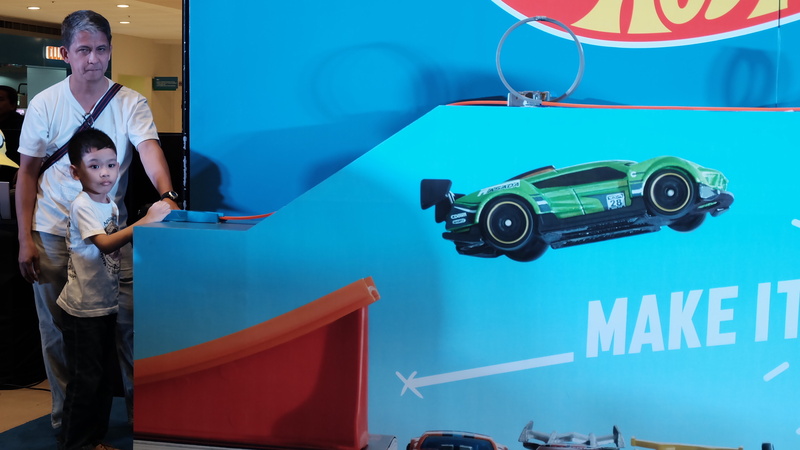 It has been a week since the epic race but our little boy can’t get over the Hot Wheels fever I had to integrate these cars in our homeschooling lessons. 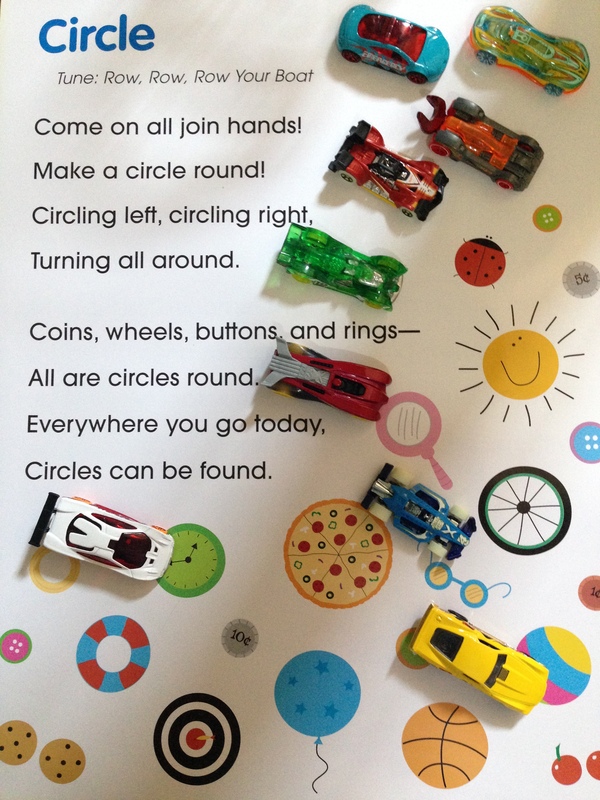 We learned about shapes and guess what were Rio’s best examples of round objects? 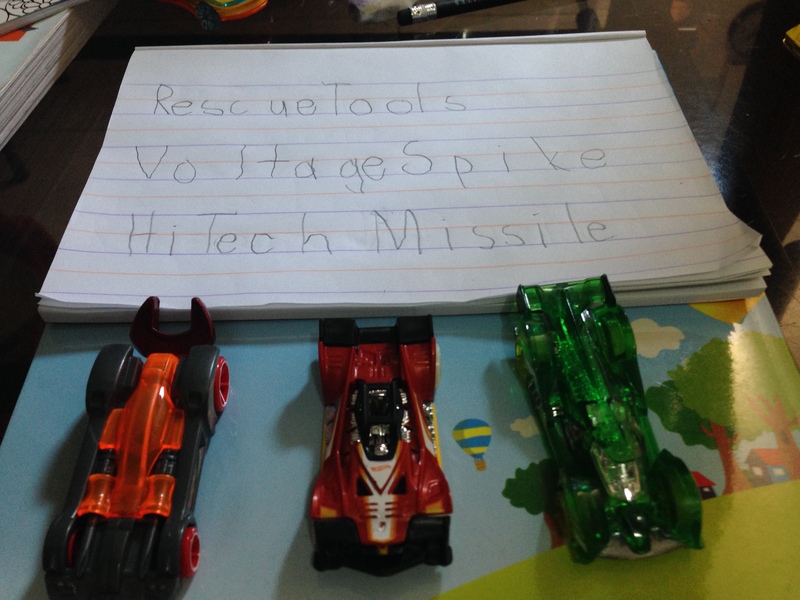 We had to use the different names of the Hot Wheels cars at home to let him practice his handwriting! 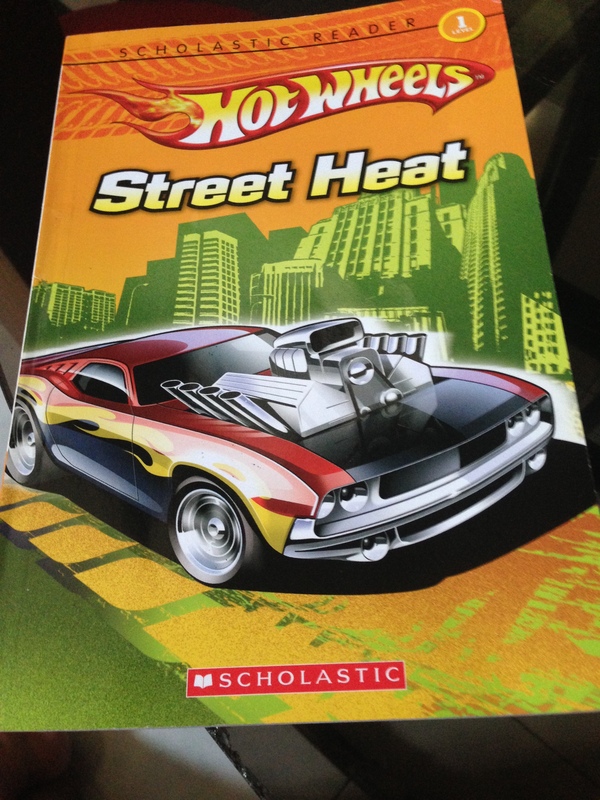 This Hot Wheels book helped us in our first reading lessons. Rio's love for cars made him more interested to read this book. Reading became a fun and learning activity. 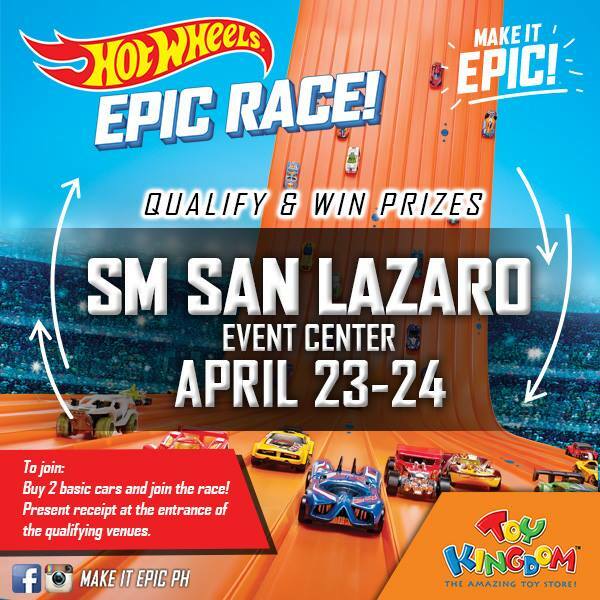 Nanays, you can still catch and join the Hot Wheels Epic Race on these dates and venues. 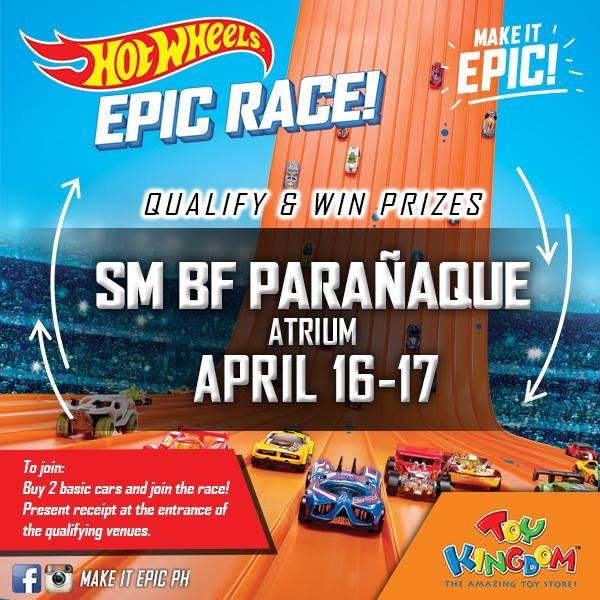 Please follow and like the Make It Epic PH - Hot Wheels Facebook page to get updates about the epic race and other details. Have a fun and epic family adventure!